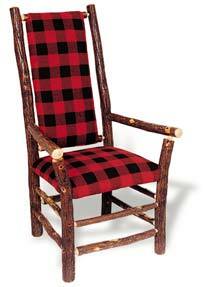 We are the premier source for quality lake house and cabin furniture and accessories. We specialize in current day interpretations of the Great Camp Style and High Mountain Lodge, combining both with elements of nostalgia. We aggressively pursue the country for artisans, craftsman and small companies who make authentic items, often by hand, almost always the old-fashioned way. And we offer them to you at realistic prices. We are not only an on-line source, but also maintain a complete showroom and design service. Our assistance can begin with the reviewing of blue prints and can culminate with the selection and supplying of all of your decorative accessories. Our retail store, warehouse and offices are located in Germantown, Tennessee. And our designers are always just a phone call away. We work with clients all over the U.S. both via long distance and in our showroom. The rustic look is broad, ranging from Cozy Cabin to Great Camp to High Mountain Lodge. And often it is personal - from an entire home to a few carefully chosen accents in an eclectic theme. Whatever your style, we can help you find exactly the right pieces, and probably at a price more affordable than you think. While we are purists, we also appreciate value and believe it is available without sacrificing authenticity or quality. You just have to look. We've spent a lifetime assembling our collection. Which means you don't have to spend years collecting to get the look you want. We can help you achieve it in a matter of days or weeks. Only a small part of our merchandise is shown here. Even the web isn't big enough for everything we love. And many of our suppliers are craftsmen who produce in small quantities. Even if you don't see exactly what you want here, we probably have it. Or we know where to get it. We are the specialists in cabin and lake house living, so don't hesitate to bring us your special requests. Thanks for visiting. We look forward to helping you create the perfect setting for a wonderful camp life.